Jokey is unable to restore renamed kernel module. 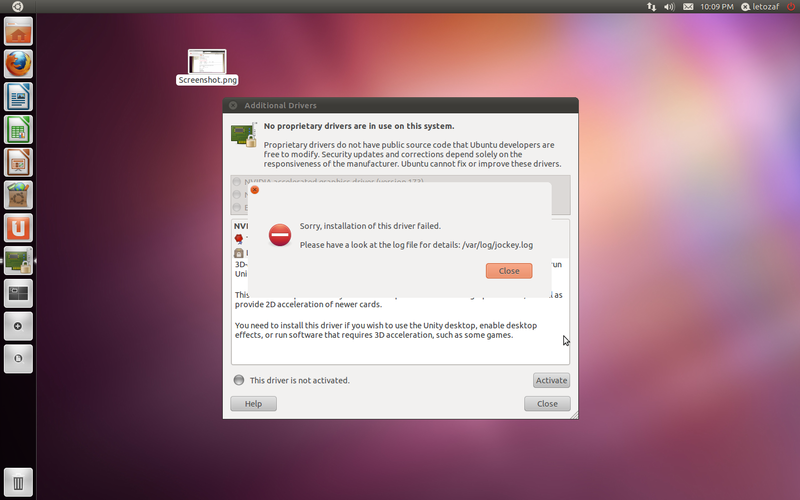 I can confirm this issue using NVIdia hardware driver in Ubuntu Lucid. The AMD/ATI driver is effected by this bug as well. Fails re-installation of the missing kernel module. the Testcase: Fallback Testing failed to install moved module nvidia.ko. I have the same error of Carla Sella... I'm testing ubuntu Oneiric Ocelot on ATI Radeon HD 3400 Series.